After 8 or so years of non-stop world touring, it's fair that Mr. Burrow would want to enjoy himself a little. This past summer, with the upcoming birth of his first child and knowing he would be passing on a couple events to be home for the big day, Taj requested "Something short 'n fun, but still a (normal) board. Nothing too fishy. Right about, or just over, my typical volume, but just squished down and playful". 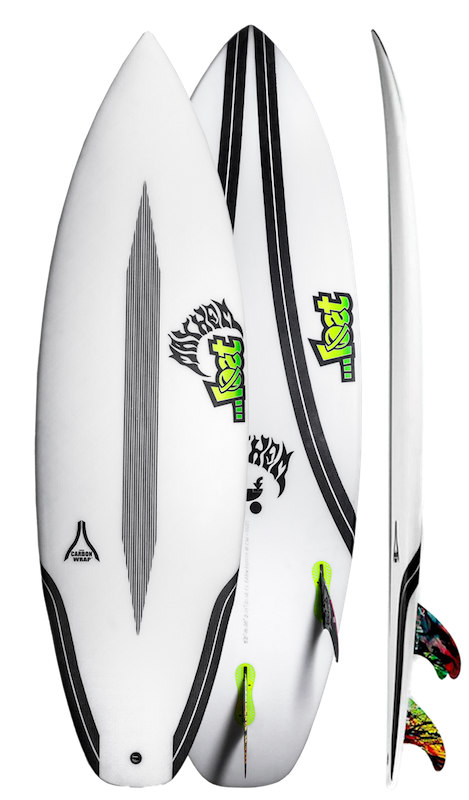 Going to work, we started with his 5'9 18.25" 2.25 24.5cl (personal dims) BeachBuggy, and revisioned it at 5’6” 18.63” 2.25". We filled in the rails and foil until it sat at 25 liters flat, then relaxed the entire rocker, so the new bottom curve nestled perfectly within the curve of the original 5'9". 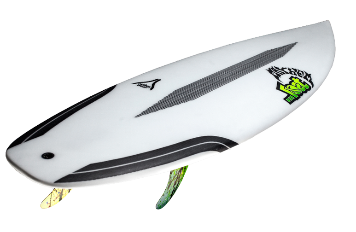 We sent the first one to Tahiti and after his unfortunate exit from the Teahupoo event, I received the text: "That little board is ludicrous. I just surfed a soft little beachy here in Tahiti, and the thing went bananas''. After some subtle tweaks, we made a couple more, and decided on a fitting name. Like every new father, there's impending daddy duties and Mr. Burrow needs a new ride...The Baby Buggy! Domestication with a High Performance twist.